Electronic dog training collars (shock collars), or an e-collar, is a training system used to alert your dog to an undesired behavior or to regain his attention during training. Though the use of remote training devices is somewhat controversial, if used properly, they are a safe and effective tool to promote good behavior in your dog. Based on our review of the most popular electronic training collars of 2016/2017 (updated for 2018), we have identified what we believe to be the best options available, which should help you purchase the best e-collar for your training needs. Note: We have updated what to look for in a good training collar with tips on how to use your new collar properly. Sound good? Great, let's dive into everything you need to know before buying a new electronic training collar for your dog! What Is An Electronic Training Collar? Do Shock Collars Hurt Your Dog? How Safe Are Electric Dog Training Collars? When you buy an electronic training collar you will typically get a collar, available in a variety of colors and styles, that is fitted with a receiver and two contact points that deliver the stimulation. You will also receive a remote, which are available with a variety of options to accommodate your budget and training needs. Just like a mother dog may correct an unruly pup with a quick nip to its neck, the electronic training collar delivers just enough sensation to get your pup's attention. This can be especially useful for specialized training such as for hunting dogs or K-9 police dogs. This training often requires the handler to be at a greater distance from the dog for certain training tasks. Hunting, police and military dogs require dependable obedience training since a dog that decides to disregard his human in these situations could put himself in a dangerous situation. When you push a button on the remote the receiver on the collar delivers the stimulation through the contacts to your dog’s neck. This sensation is often compared to a static shock that we would be familiar with from touching a doorknob, etc. after walking across carpet. Any decent e-collar should have thorough instructions and training for you to follow to ensure that you use this training device correctly. As we mentioned, these electronic training collars are a completely safe and humane training tool to use with your pet when they are used as recommended. There are conflicting opinions on the use of e-collars, but much of the opposition to using these devices describe cases where the collars have been used incorrectly. Others simply oppose their use in general, which is a personal choice that everyone needs to make on their own. 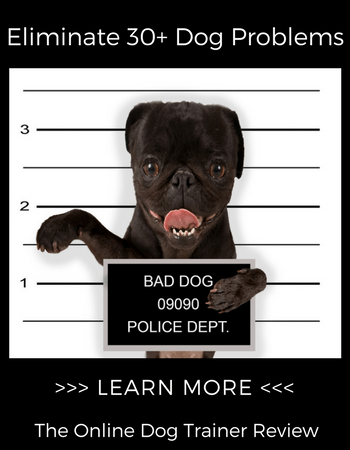 However, there are cases where behavior issues can put a dog in far more danger such as chasing cars or aggression. Compared to the possible consequences of those behaviors, the mild discomfort delivered by an e-collar is much safer and more humane. The “shock collars” of years ago that prompted concern about their use in training delivered a more powerful sensation to the dog that could not be adjusted. Modern e-collars have customization levels of stimulation ranging from an audible tone or gentle vibration (like your cell phone set to vibrate) to varying degrees of electronic stimulation depending on the model purchased. This tool is not intended to function like the one-size-fits-all devices of the past. You can choose the right size collar and stimulation settings based on the size of your dog and your training needs. Some models include a training DVD to ensure that you know how to use the training collars properly. Other features such as water resistance, transmitter distance and the ability to add multiple collars to one remote are available to customize your training routine. 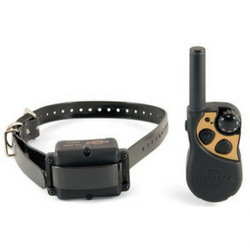 The compact size makes the receiver comfortable for your dog to wear and the transmitter is an easy to carry stopwatch style. Extremely safe for your dog with tone only or tone followed by stimulation options and a set and lock feature to ensure that you won’t accidentally increase the stimulation, but effective with an additional boost feature in case your usual setting is ignored. It is always smart to check with your vet to make sure that your dog is healthy enough for training, but with the right collar and appropriate training techniques there is no reason that an e-collar would be inhumane as a tool for training. Compact and full of features, SportDOG’s SD-425 model e-collar is one of the highest rated and most reviewed electronic training collars available on Amazon. The seven levels of stimulation in addition to the new tone and vibrate features combined with being waterproof to 25 feet and able to fit a variety of dogs makes this one of the most customizable budget friendly training tools on the market. Great for teaching your dog to walk with you leash-free, the Petsafe Yard & Park Rechargeable Dog Training Collar offers 8 adjustable levels of stimulation and 2 different tone settings. Submersible up to 5 feet and at distances up to 400 yards, this is one of the most versatile training tools available in a budget friendly price range. 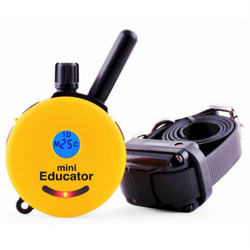 Educator E-Collar Dog Training has mastered the art of customization. With a variety of available color combinations available for collars and remotes, two collar styles made in nylon with quick snap closure or Biothane with buckle closure and five different contact point styles to ensure the best contact for your breed you can be sure to get the best training system for your needs. Pet Resolve prides themselves on offering premium durability and features in their Best Dog Training Collar with Remote. With the option to use up to three collars on one remote, a range of up to ¾ mile and 100% waterproof housings it is ready for your most rugged training needs. Tone, vibration and adjustable electronic stimulation settings allow you to fully customize your training routine. If you’re on a tight budget but still want the features of more expensive models, the Aetertek Updated & Submersible Dog Training Collar 918C is a popular choice. 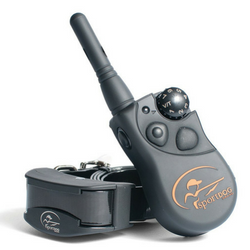 The receiver is fully waterproof and the transmitter is able to control up to two dogs at once. The auto anti-bark function sets this model apart from other low cost options. If you have a smaller dog, the compact size of the Dogtra IQ Remote Trainer might be the right option for you. It has 100 stimulation settings and three modes including “nick”, a short pulse of stimulation to get the dog’s attention, continuous stimulation that is removed when the dog performs the desired behavior and mild vibration. For bigger dogs the PetSafe Elite Big Dog Remote Trainer has 15 adjustable stimulation levels with a +2 boost button and a tone function. The collar is waterproof up to five feet and has a range of 1000 yards. The remote will train up to two dogs with an additional collar sold separately. This system is ideal for dogs over 40 pounds and fits neck sizes up to 29 inches. 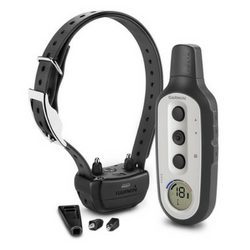 The user-friendly G﻿arm﻿in Delta﻿ Dog Training Collar combines simple to use functions with all of the most wanted features. This set offers a half mile range, 18 adjustable stimulation levels, with tone and vibration settings. Train up to three dogs with one remote when you purchase additional collars. 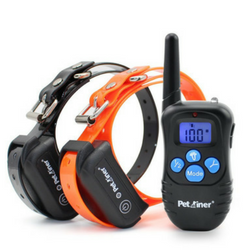 Another low cost option with the features of more expensive training systems, the Petrainer Training Collar PET998DBB system is easy on your wallet. With 100 levels of vibration and static shock, finding the right setting for your dog is simple. The addition of a tone option to reinforce voice commands, waterproof collar and a light to help you find your dog at night makes this collar suitable to most training conditions. 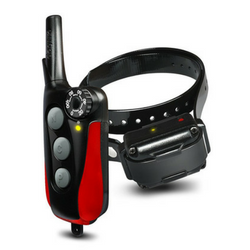 The easy to use remote on the PetTech Training Collar has separate buttons for each mode to eliminate confusion between the tone, vibrate and stimulation functions. It offers -1-100 levels of shock and vibration, and a tone setting to customize your training routine. 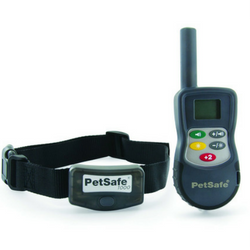 The receiver and collar are waterproof and is adjustable to fit any dog. The PetTech collar offers loads of features and won’t break the bank. It's also the #1 Best Seller on Amazon. When looking for the right e-collar for your training routine, it is important to consider the environment where you will be working with your dog. Having an idea of the size of the area where you are training can help you decide on the range you will need to communicate with your dog. Take into consideration if your dog will be swimming or getting wet while wearing his e-collar. Audible tone and vibrate modes are highly desirable since usually your dog will begin to respond to these corrections without needing to use the shock settings in normal situations. Safety features that prevent accidentally or over correcting your dog are highly desirable as this not only undermines your training regimen, but may also harm your pet in extreme cases. If you intend to work with your dog after dark you may want to opt for a model that has a light on the collar to help you locate your pup. Of course, the size of your dog and your budget will also influence your purchase. As you can see above, there are low cost options that are very popular and offer many of the same features of higher priced models. While these may work well for some dog owners, when it comes to my pup, I subscribe to the “you get what you pay for” approach. Seeing reviews and photos of dogs with burn marks on their neck immediately gives me pause. Of course, there is no way to know if everyone uses these tools as recommended, but there are disproportionately more of these types of reviews on the bargain models. ​If you compare the cost of a high quality e-collar to the price of a professional dog trainer, you will likely find the value in buying the best tool available. If you are trying to decide if e-collars are right for you and your dog, you may want to ask yourself if your dog easily responds to you when he is distracted. Often, when dogs engage in unwanted behavior like jumping, bolting, excessive barking and aggression they are not easily engaged with verbal commands. ​In these situations, the tone, vibration or stimulation from an shock collar can regain the attention of even the most willful pups. When these devices are used properly, you may be able to allow your dog more freedom such as walking leash-free or having the run of your property or hiking trails. The first and most important advice I can offer on using your e-collar is to carefully follow the recommendations included with your device. Second, is making sure that the collar fits your dog properly and the contact points sit correctly on your dog’s neck. ​The collar should be tightened so that the contact points sit snugly against the neck to ensure reliable stimulation. ​If you find that the stimulation seems inconsistent, you may need to tighten the collar. You also want to make sure that the contact points are able to reach through your dog’s coat to his skin. Longer contact points or shaving the area of contact may help if you are having issues with appropriate contact. Try to put the collar on the dog without working on training or using the remote periodically so that your dog is comfortable wearing the collar and does not think that he only needs to listen to you when the collar is on. Begin with commands that your dog is already familiar with to start your training and then reinforce the reaction to the command with correction from the collar. Keep training sessions short and consistent with a balance of work and play to make sure that your pup stays engaged and positive while wearing the collar. Always begin your first session at the lowest settings on your device and slowly increase the intensity of the stimulation until your dog notices the sensation. You may notice a twitch in his ears and neck, but your dog should never yelp in pain. A tone or vibrate mode can be used prior to delivering the electronic stimulation to warn your dog that a correction is imminent if the behavior or lack of response continues. Some models offer the option to choose between momentary and continuous stimulation. Momentary or “nick” sensation is a quick burst of stimulation to regain your dog’s attention. Continuous stimulation allows you to apply the sensation and then remove the stimulus when the dog complies with your direction. As mentioned previously, often after a few training sessions, it is likely that your dog will respond to either the tone or mild vibration without having to engage the shock function frequently. 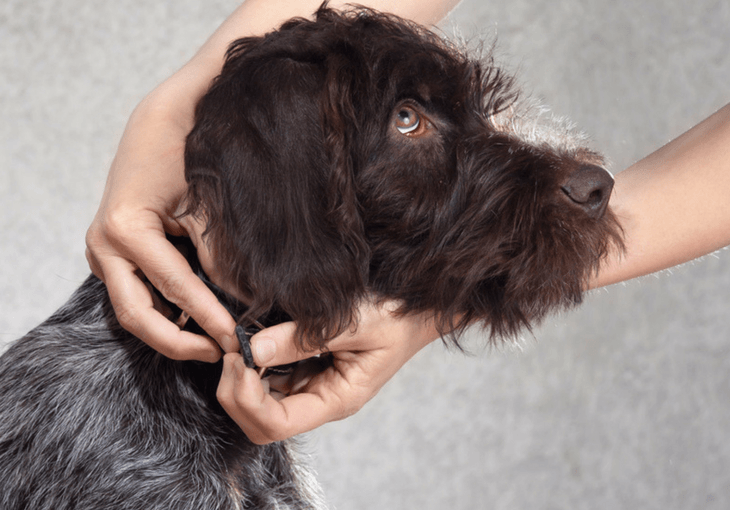 If you notice irritation on your dog’s neck from the receiver, it is likely that the collar is either too loose or too tight, adjusting the collar may take care of this issue. It is also possible that the collar has been on your dog for too long. Try to limit wear time to 8 hours a day to prevent irritation. It is not recommended that you attach a leash to the e-collar as tension on the leash may apply unwanted pressure from the contact points, though it is not recommended that other metal collars be worn with the e-collar. Though there is some controversy surrounding the use of shock collars for dog training, if they are used properly, these devices are very safe and humane tools to train your pup. These systems, instead of stifling or punishing your dog, can actually give him greater freedom and better interaction in his environment. When you consider the repercussions of your dog potentially running away, darting into the street/chasing cars, being aggressive with other dogs or people and the general misery of an ill-behaved dog that is always being punished or worse, surrendered, most of us can agree that the mild and momentary discomfort that should result from the collar is preferable to any of these alternatives.